The Walk: You should not have a problem following the route of this walk from the Storey Arms Centre as you will probably be walking in a line with other walkers in this most popular way up the mountain. The problem may be getting parked up in the first place. The path up is the most direct and the descent path one of a number which all arrive back at the car park. The Walk I Would Do: My favourite circular walk which includes the ascent of Pen Y Fan is the one I have called the Beacons Horseshoe. 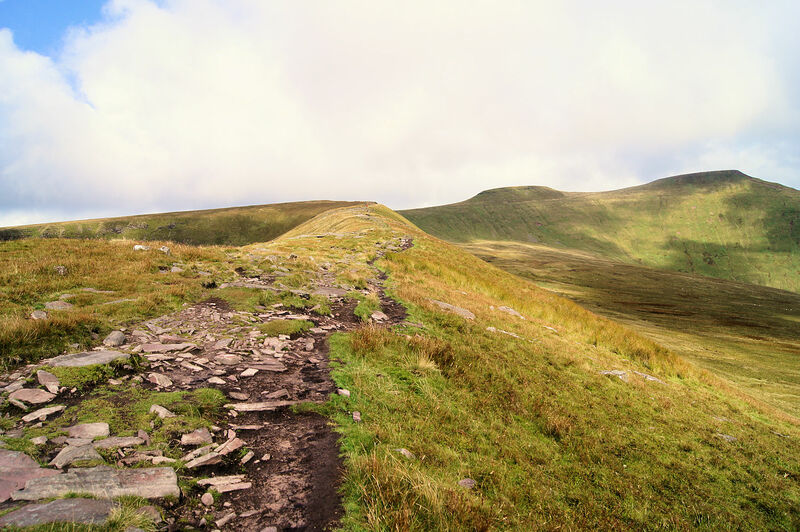 You can find all the details of the walk including statistics, map and route files for download at Walking Englishman's Brecon Beacon's Horseshoe.